There are a number of different brushes in ink, and they are all as unpredictable as each other. 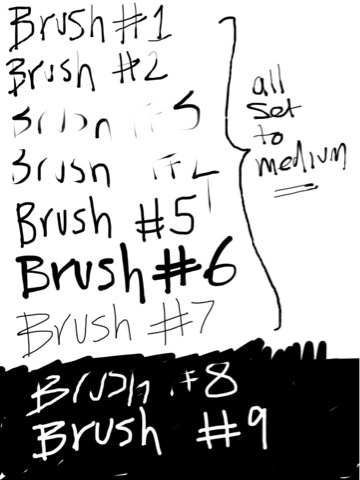 They remind me of the brushes in Manga Studio, but without the precision. Anyway this is the sort of style they exhibit. I got quite excited at the Steadmanesque look of a couple of them, but there simply isn't enough control.